Sydney, one of Australia’s most visually spectacular cities (though perhaps surprisingly, not its capital) is blessed by a dazzling harbor, icons such as the Sydney Opera House, and a close proximity to beautiful beaches. With only one day you’ll want to see as much as possible, so here’s how to make the most of 24 hours in Sydney. Traveling by bus is one of the best ways to see a lot of Sydney in a short time. Start your day with a guided bus tour, which typically visits the historic Rocks neighborhood and Mrs. Macquarie’s Chair for all-encompassing views of the Sydney Opera House and the Harbour Bridge. Some tours offer optional upgrades to include an opera house tour, lunch cruise, or seaplane harbor tour. To see top landmarks in less time with more ambience, choose a Sydney sightseeing cruise. No visit to Sydney is complete without soaking up some sun on Bondi Beach, one of the most famous beaches in the world. It’s just five miles (eight kilometers) from the city center and boasts warm waters and consistently nice waves. Many Sydney sightseeing tours include time at Bondi for the chance to take a stroll along the beach or pop into a local café. Alternatively, Sydney and Bondi hop-on hop-off bus tours and bus-and-boat combo tours allow you to set your own schedule and spend as long as you like at the beach before continuing on to other stops along the sightseeing route. Sydney Harbour’s landmarks are perhaps at their most captivating when the setting sun casts them in a warm glow. Early evening harbor cruises typically pass close by the Sydney Opera House, Sydney Harbour Bridge, and other top sights while including dinner and drinks. Another opportunity for a meal with a view can be found at the revolving restaurant atop Sydney Tower, where you can enjoy a 360-degree panorama and watch the city lights sparkle from the comfort of an elegant restaurant. Take in views from one of Sydney's best vantage points, the revolving restaurant at 360 Bar and Dining, which perches on top of Sydney Tower, 88 stories above the ground. Choose from an à la carte menu to customize your 2- or 3-course meal, enjoying an elegant meal while overlooking the stunning Sydney skyline. This sophisticated restaurant offers an intimate, stylish fine dining experience, with contemporary Australian-French fusion cuisine. Hop on board a 1.5-hour Sydney Harbour sightseeing cruise for a comprehensive yet speedy introduction to all of Sydney's waterfront landmarks. Keep your camera handy for great photo ops of the Sydney Opera House and Sydney Harbour Bridge, and admire pretty harborside suburbs such as Point Piper and Balmain. It’s the perfect sightseeing tour for first-timers and those short on time, plus you’ll enjoy being out on the water instead of inside a tour bus. With a central departure point at Circular Quay, you are perfectly positioned for sightseeing nearby. Discover Sydney’s glorious beaches and iconic landmarks on this half-day city tour – ideal for first-time visitors to get their bearings. Get a feel for local life as you stroll around the Rocks and lively Chinatown, then visit Mrs Macquarie’s Chair to enjoy magnificent views over Sydney Harbour, the Sydney Harbour Bridge and Sydney Opera House. 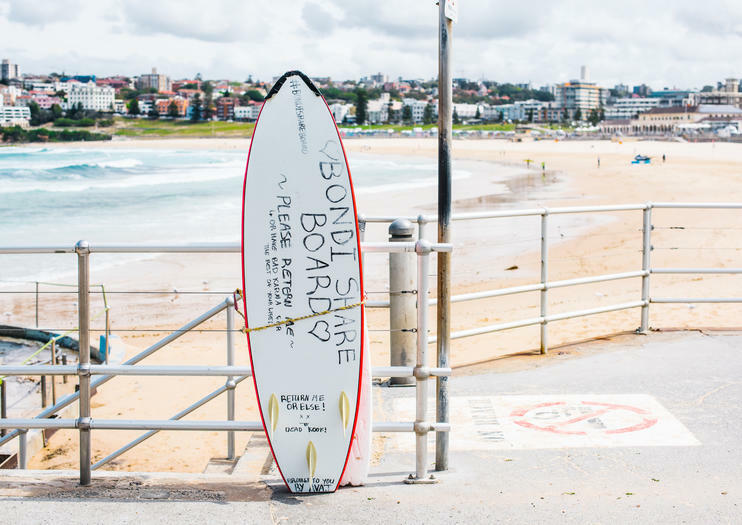 Finally, pay a visit to the glamorous Bondi Beach, with its famous lifeguards, golden sands and legendary surf.